Shorthaired Dizzle is not as bashful as he first seems. 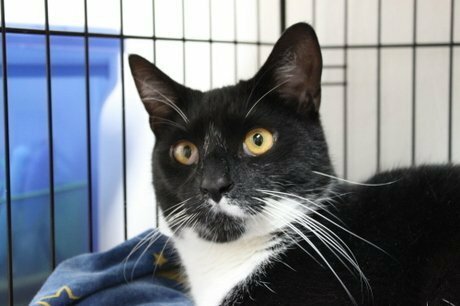 Dizzle can be a bit shy at first, but once he’s comfortable, this is an active boy who loves to play and cuddle. Super sweet, he’s microchipped, neutered, and up-to-date on all his vaccines. Dizzle is available for adoption through Karma Cat and Zen Dog Rescue Society in New Jersey.